It’s Not Too Late to Cook Up a Valentine’s Dinner! 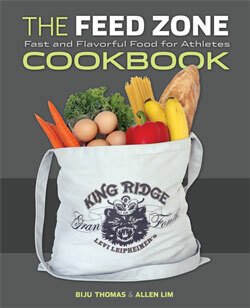 The Feed Zone Cookbook is all about simple, delicious foods that are easy to make and ready to go. So if you’re running a little behind on your dinner plans for Valentine’s Day, download these two free recipes. Chances are you won’t even have to run to the store — The Feed Zone Cookbook tries to keep things real by using ingredients that nearly everyone has in the kitchen already. Enjoy! Try these recipes yourself! The Feed Zone Cookbook Valentine’s Day meal: Light and healthy Strawberry Chicken Salad and indulgent Flourless Chocolate Cake (300kb pdf).